1. 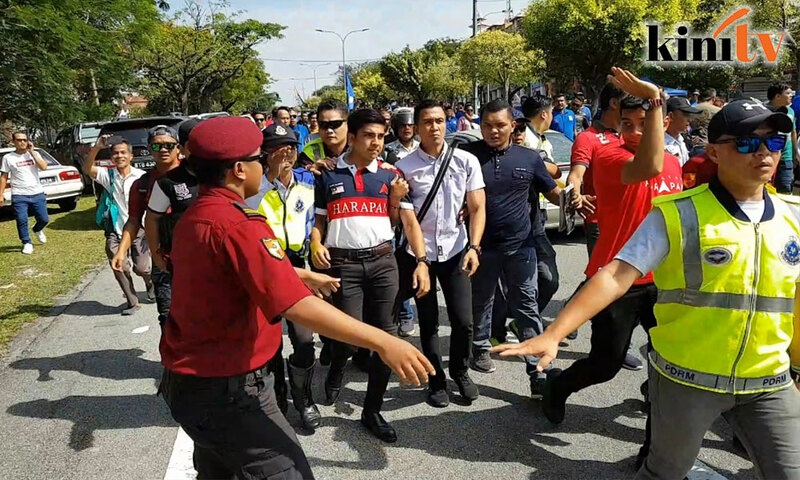 Bersatu Youth chief Syed Saddiq Syed Abdul Rahman was reportedly almost assaulted by BN supporters after nominations concluded for the Semenyih by-election. 2. Prime Minister Dr Mahathir Mohamad claimed PAS had pledged not to support BN in Semenyih, which both Umno and PAS subsequently denied. 3. The Semenyih by-election is confirmed as a showdown between Pakatan Harapan, BN, Parti Sosialis Malaysia, and independent candidate Kuan Chee Heng. 4. MCA members wore ‘Bossku’ T-shirts and said Najib Abdul Razak was a better prime minister than Dr Mahathir Mohamad. 5. Water, Land and Natural Resources Minister Xavier Jayakumar said Putrajaya is powerless to stop part of the Sungai Pulai Forest Reserve being turned into a golf resort, though a lawyer said otherwise. 6. The Employees Provident Fund declared a dividend rate of 6.15 percent for conventional savings, and 5.9 percent for shariah. 7. Johor's Sultan Ibrahim Sultan Iskandar rebuked Agriculture and Agro-Resources Minister Salahuddin Ayub for allegedly giving a ceramah at a mosque in Johor Bahru. 8. Tasek Gelugor MP Shabudin Yahaya claimed he jumped ship to Bersatu for the sake of his constituents. 9. De facto law minister Liew Vui Keong said the government is open to all options to probe recent allegations of judicial misconduct. 10. Defence Minister Mohamad Sabu said cabinet ministers are still learning how to do their jobs.